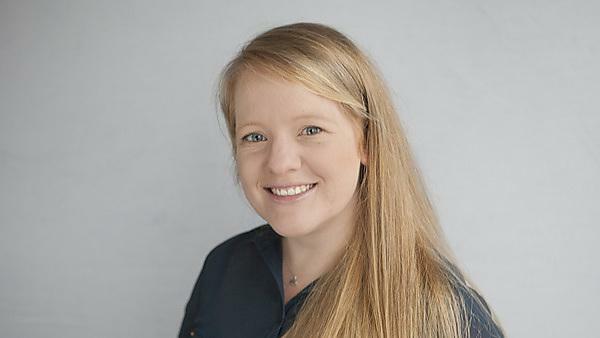 Dr Katie Angliss studied BSc (Hons) Event Management followed by a PhD in Event Management which she completed in 2017. Katie is currently working as a Lecturer in Tourism, Hospitality and Event Management at the University. I grew up in South Africa and originally came to the UK for a gap year… that was 13 years ago and I am still here. My gap year helped me to decide what I wanted to do at university, and as a future career, and that was event management. I chose Plymouth, partly because of family connections with the city, but also because of how friendly the University was and how centrally located the University was in the city. I was one of the first years to complete a degree in event management at the university, which gave me a strong knowledge of the events industry and also enabled me to develop skills in marketing. I graduated in 2010, and soon began work as an assistant hotel manager and was responsible for the everyday running of the hotel, including event management. While I enjoyed this role, it was my next job as a corporate marketing graduate intern for the University of Plymouth where I really began to shape my career, and my research interests developed. The position of Doctoral Teaching Assistant (including part-time PhD and part-time lecturing), was introduced within the Department of Tourism and Hospitality while I working as a corporate marketing graduate intern. I was lucky enough to have family and colleagues that encouraged me to apply for this role, which I was fortunate to be offered without having completed a master’s degree. While this was not my original plan for my career, it was an amazing opportunity that I could not refuse. My research focused on the impact that attending events had on the attendees’ perception of the University’s reputation. Having worked at the University as part of their events and external marketing team, this really interested me to be able to understand the impact that events have on the organisation as a whole. This further sparked my interest in marketing and promotion for events, which led to co-authoring a textbook in this subject with Dr Nigel Jackson, my Director of Studies. I would not have been able to do this without the support from my supervisory team, who offered invaluable advice and encouragement throughout the whole process. A key piece of advice for anyone wanting to complete a PhD, or already undergoing this process, is develop a good relationship with your supervisors. They are the ones that will know and understand your research nearly as well as you do, and can help you to regain focus when your research inevitably wanders off track. Completing a PhD is not a difficult thing to do, but it does require a tremendous amount of dedication and patience throughout the process, because at times it can be frustrating and feels like it will never end (especially when done part-time). However, once you have completed it, it will be one of the most rewarding experiences of your life. Since completing my PhD in 2017, I have gained full time employment at the University of Plymouth as a Lecturer in Tourism, Hospitality and Event Management. It is great to be able to work with students, sharing my passion for marketing and events, while also helping them to shape their future.